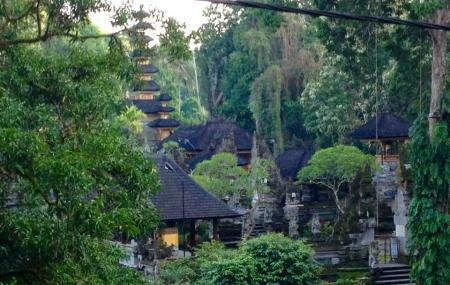 Located at Campuhan, in the gorge just 1.5km (1 mile) west of Ubud, this temple is an easy walk from the Ubud market and makes a very pleasant early morning stroll. Legend has it that in the 8th century the high priest Rsi Markandya, a holy sage who came from Java to build Besakih Temple, was spiritually attracted to the beautiful area, the confluence of two rivers. He stayed, meditated, and built a temple. Ubud was born. Also, visit the popular attractions in the city by following Bali itinerary 4 days. Camera and videography has separate charges. The temple is open for 24 hours. How popular is Gunung Lebah Temple? People normally club together Bali Bird Park and Legong Of Mahabrata Epic while planning their visit to Gunung Lebah Temple.